November | 2013 | Dorothy Day Catholic Worker Washington, D.C.
Join us for our Clarification of Thought program and see an important new film, The Ghosts of Jeju. This film is about a new U.S.-backed naval base on Jeju Island off the coast of S. Korea that is under construction and which is being resisted by the local islanders along with many Catholic religious, many of whom have been arrested and jailed. The base, which is part of the U.S. military “pivot” to Asia, will serve as a strategic outpost to contain China. The producer of the film, Regis Tremblay, will be present to discuss the film. 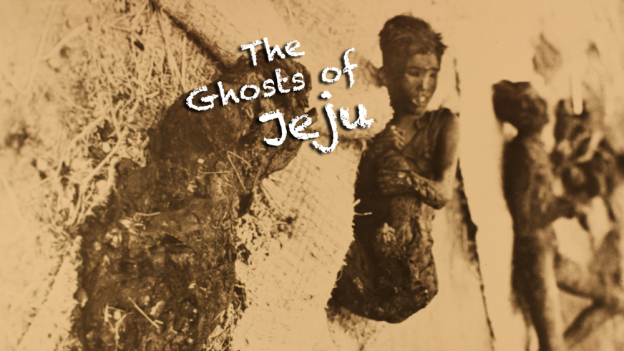 A shocking documentary about the struggle of the people of Jeju Island, S. Korea. Set in the context of the American presence in Korea after World War II, the film reveals horrible atrocities at the hands of the U.S. Military Government of Korea. Using previously secret and classified photos, film and documents, this will be the first English-language documentary about the struggle of the brave people of Gangjeong Village who are opposing the military advance of the United States, just as their parents and relatives did in 1947. As then, they are being arrested, jailed, fined, and hospitalized for resisting the construction of a massive naval base that will accommodate America’s “pivot to Asia,” and will destroy their 400 year old village and their UNESCO protected environment. And yet, the indomitable spirit of the villagers and their supporters, who have not lost hope in spite of overwhelming odds, will inspire and motivate everyone who believes there is a better way to live together on this planet. Date: Friday, December 6th, 2013 @ 7:30 p.m.